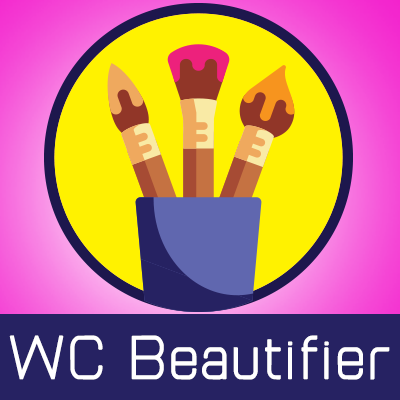 WooCommerce Beautifier plugin gives you a plenty of options to customize the design of your WooCommerce shop. 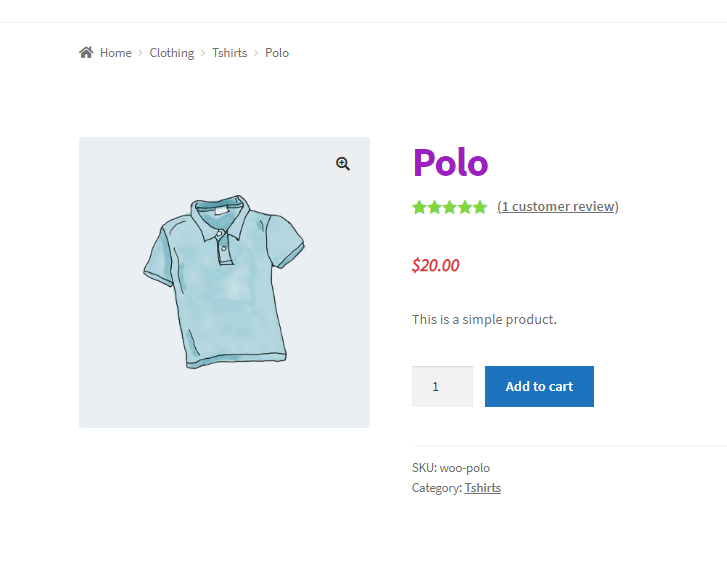 With this plugin you will be able to change/customize Design/Style/Color/Font-Size etc of your Shop page content, Minicart content, Cart page content, Checkout page content, Category and Tag page content. 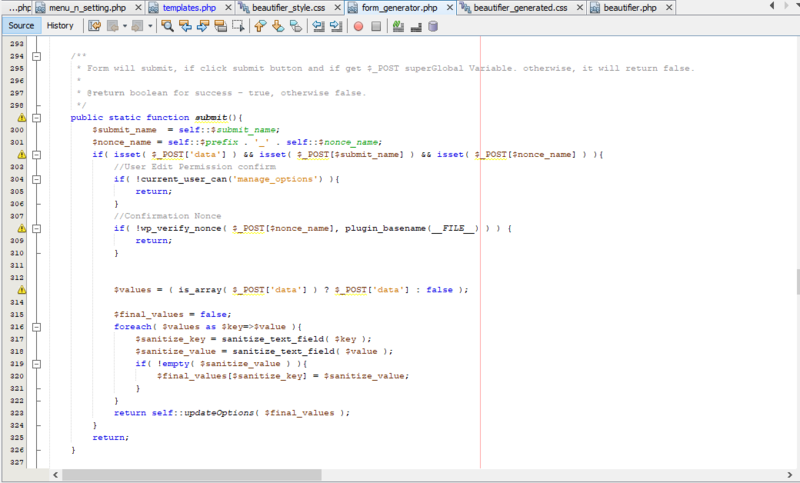 Such as product title, price,add to cart button,sale badge,page title,placeorder button, select option button etc. 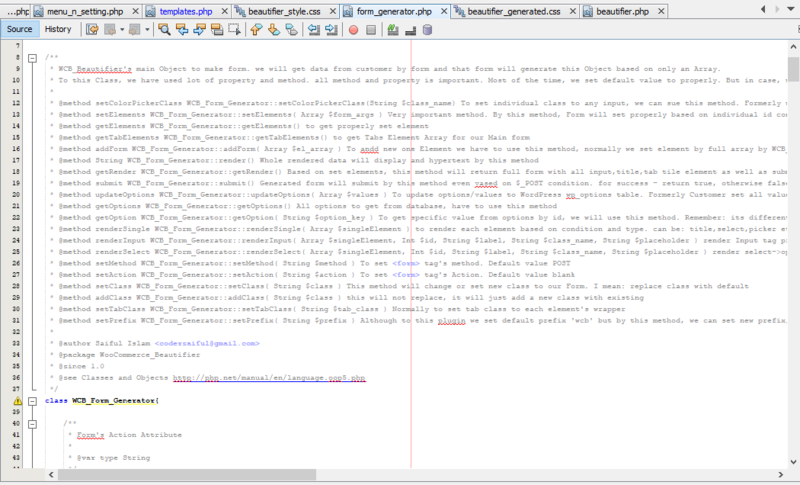 You can chage color, font size,font style,font-family,padding,background color etc. 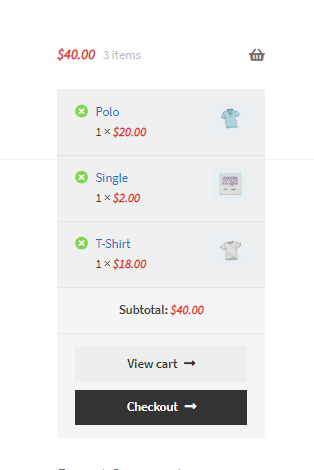 With this awesome plugin you can customize your “WooCommerce” store style. 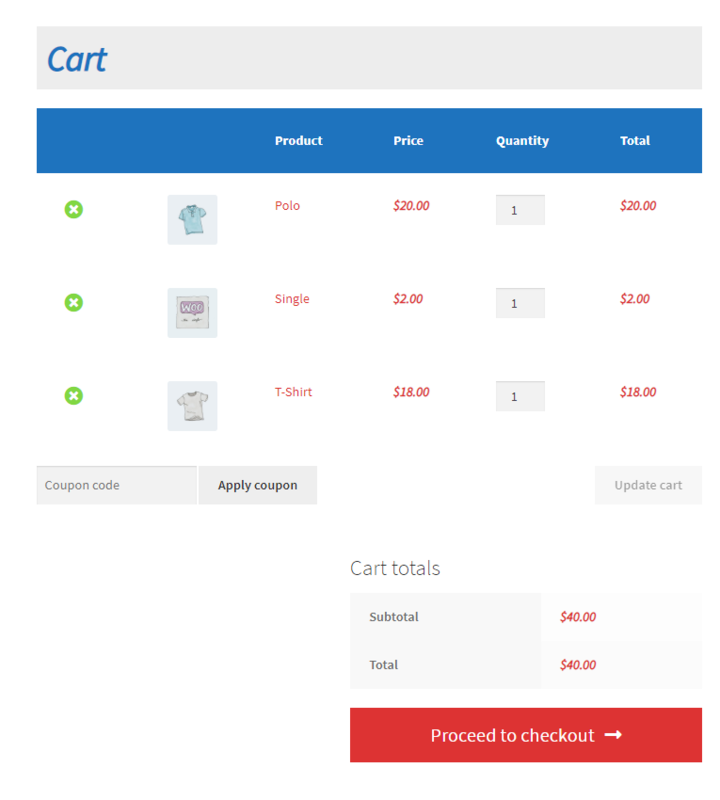 You will be able change the shop page styles, Category-Tag page styles,Checkout page,cart page styles etc. 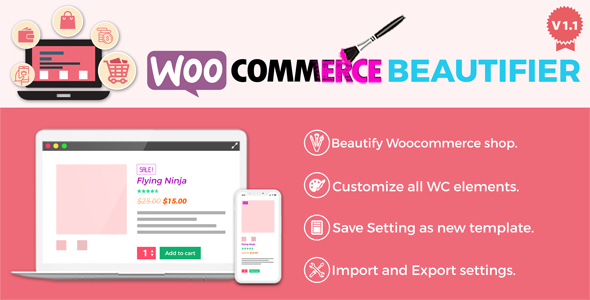 From the “Basic tab” in the setting panel the change will effect on all pages of your “WooCommerce” shop. You can customize design/style of your site very easily with user friendly interface. 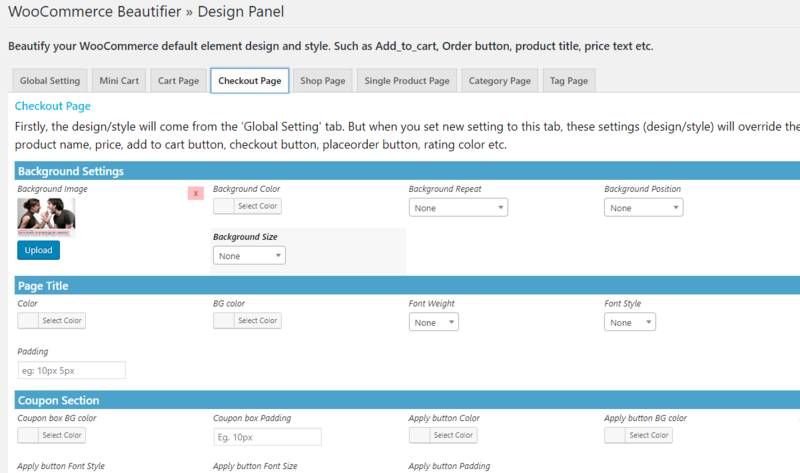 We’ve checked this plugin with a variety of themes and confident that it will also work with your theme. Import and export your setting when you need. It’s very easy.See above how to to do it. Does it work with all themes? Can I save my current settings? Ans:Yes. 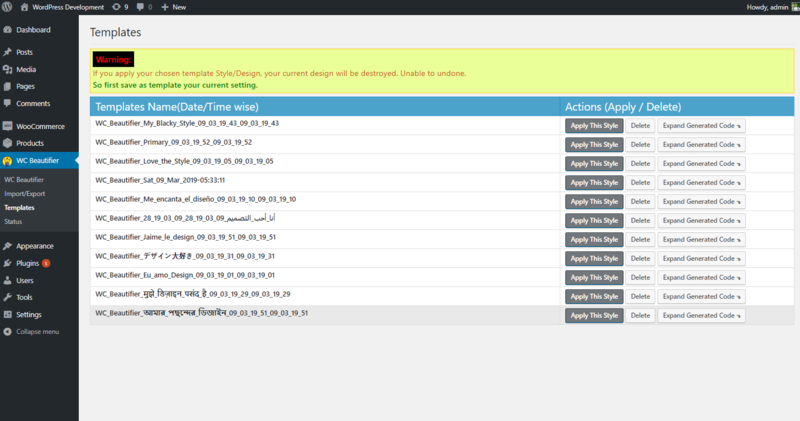 You can save current settings or new customized as a new template. For this go to the bottom section and you will seee a option “Save as template”. Give a name of the current setting and click the button. It will save your settings as new template. 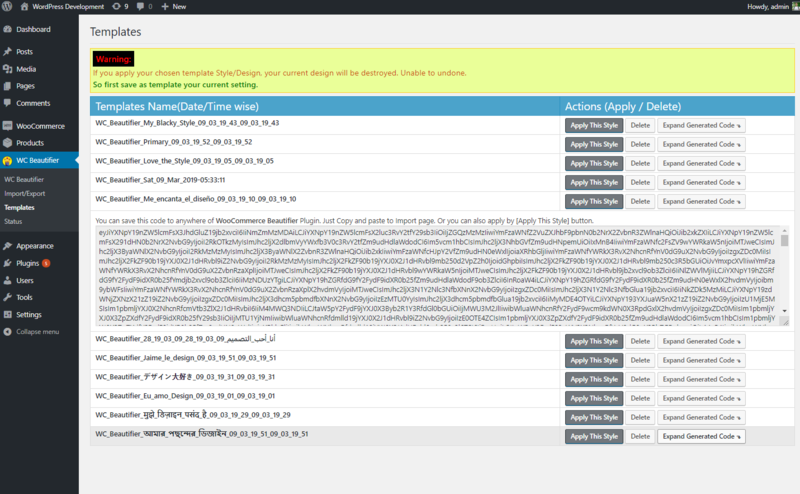 You can view your template going to (Dashboard-> WC Beautifier -> Templates). Is there any feature to import/export settings ? 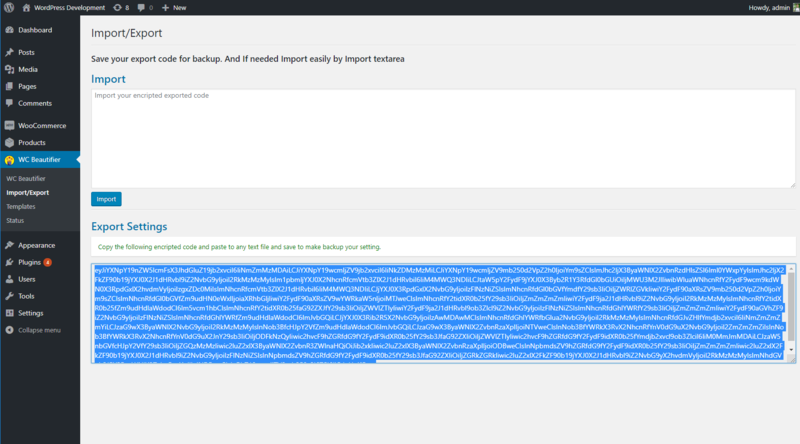 Ans:Yes, You can import and export setting and use in future. Can I reset the settings to default? Can I reset the settings for individual tab?